The most adventurous corporate accommodation York has to offer. Camping in comfort and style, thanks to Bedroam. BEDROAM has been creatively designed to provide modern portable bespoke accommodation. With sleek, simple contours, quality materials, and stylish design, BEDROAM provides a luxury upgrade from camping but doesn't take you away from where you need to be. BEDROAM caters to your event or occasion. It can be hired out exclusively for your party, group or company and transported effortlessly to almost anywhere, for as long as you need it. Inspired by the Japanese pod concept it provides up to 18 affordable luxury sleeping pods, 2 stylish bathrooms and a multi functional covered outdoor space. BEDROAM offers 14 individual sleeping pods on the upper floor complete with an individual compartment for personal belongings and power socket. Each sleeping pod is equipped with a foam based luxury mattress, duvet, pillow and bedding that will give you a perfect night’s sleep. A blackout screen can be secured across the pod to provide a quiet and private space for you to relax. 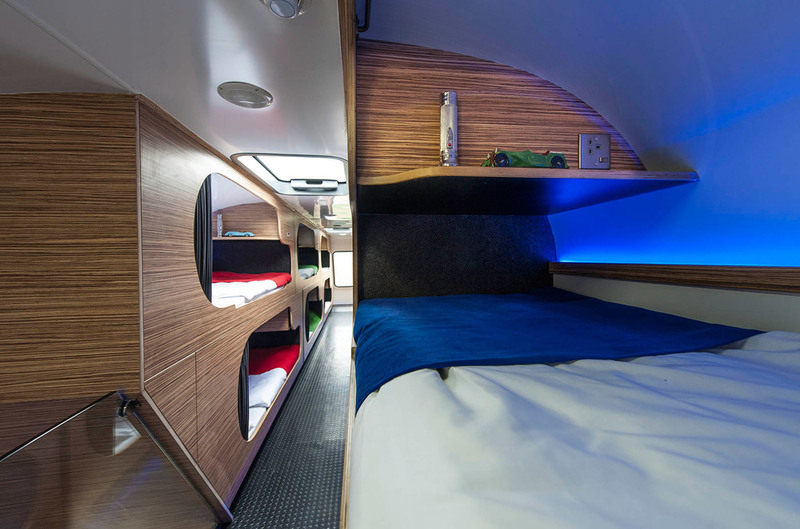 The lower deck comprises of a further 4 sleeping pods which can be converted into a flexible lounge area with seating, rotating flat screen TV and fridge. BEDROAM has 2 fully equipped bathrooms (male and female) with shower, toilet and sink. Sinks are fitted with warm running water on motion censored taps. Forget those unpleasant porta loos BEDROAM is fitted with high specification hygienic environmentally friendly vacuum toilets. BEDROAM is fitted with air conditioning to keep its guests cool when the temperature rises. Soft mood lighting in the communal areas creates a relaxing atmosphere, whilst in the day, the natural daylight streams through the skylights creating a real sense of space. Outside the 8 metre long multifunctional awning is a usable space that can host corporate entertainment, motorsport or simply be a relaxation area. This waterproof area is likely to be invaluable given the unpredictable great British weather.